This post is a follow up to “The Dummies Guide to Installing Japanese Input on Your Windows 7 or 8 PC” and the precursor to “The Dummies Guide to Converting Japanese Letters on Your Windows 7 or 8 PC“. Learn how to type Japanese letters on your Windows PC without a Japanese keyboard! Now that you have Japanese input installed on your PC (if not, please go back to the previous tutorial), let’s take a look at how to type Japanese letters. Kana input is immensely useful for those who have Japanese keyboards. These keyboards have both hiragana and Roman letters indicated. You can input Japanese using the kana characters shown on the keyboard. 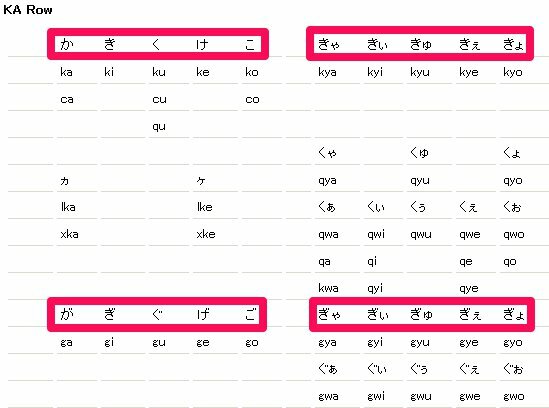 As the keys range from the あ key to the ん key, the number of keys used for input is greater than for romaji input. However, as “か” for example can be input by one press of the か key, the number of keystrokes needed is less than for romaji input. Obviously, for this input mode to work, you’d have to memorize the new keyboard layout and learn to type using it. As an alternative to direct input of kana, some Japanese input method editors allow Japanese text to be entered using the romaji reading, which can then be converted to kana or kanji. This method does not require the use of a Japanese keyboard with kana markings. So this is proably the most convenient way for people with Western keyboards to type Japanese letters. 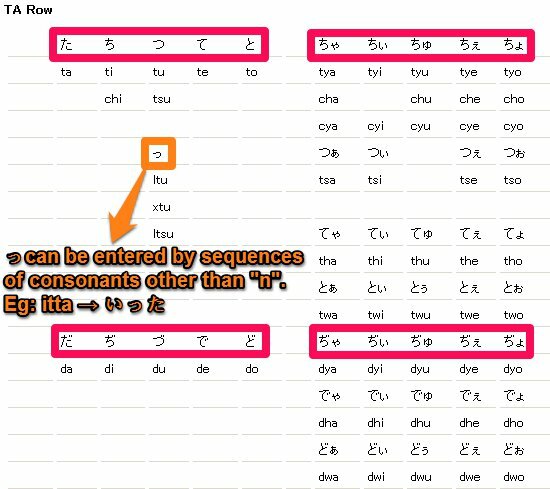 We will focus on the Romaji input mode in this post. 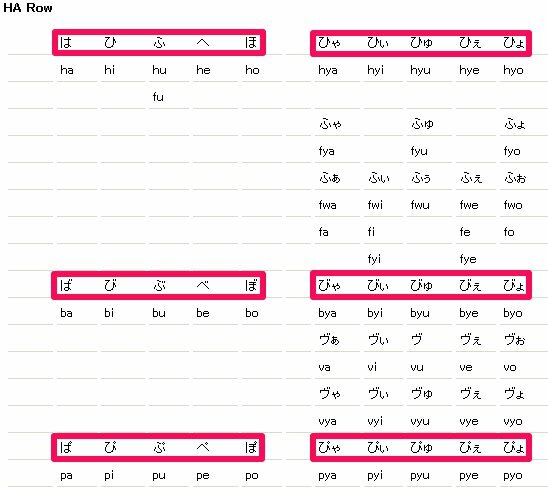 As romaji input uses the 26 keys A to Z, the number of keys needed is fewer than for kana input. However, the number of keystrokes per character is greater for romaji input as inputting “か”, for example, requires you to press both the K key and A key. In order to input and edit Japanese letters using the romaji input mode, you will need to master the Microsoft IME Romaji-Kana correspondence chart below. Does it look scary and overwhelming? Don’t worry! 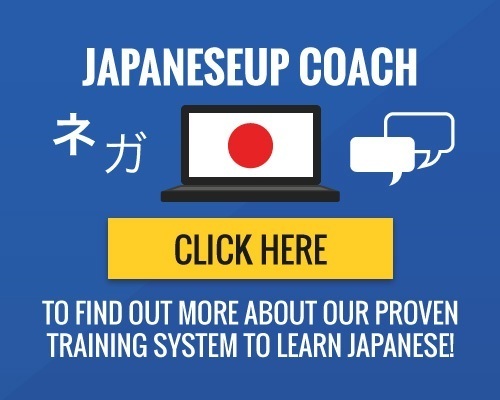 Based on the 80-20 Pareto principle, you only need to memorize the most commonly-used Japanese letters to get by. You can see them circled in pink below. 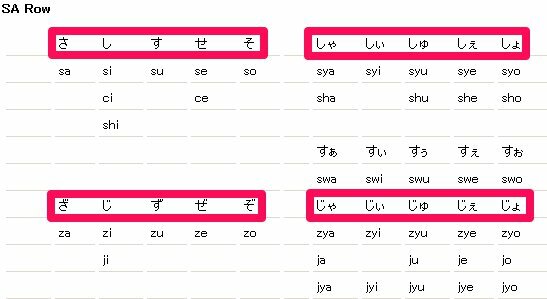 You can bookmark this page and look up the less commonly-used Japanese letters when needed. You will observe that some Japanese letters have multiple spellings. All of them work, just pick the spelling that works best for you. You can type hiragana characters in Hiragana mode and then press the ENTER key to enter the characters. You can also convert to hiragana characters when entering a reading in Katakana input mode. You do this by pressing the F6 key after entering a reading. To switch to Katakana input mode, you can click あ (Input Mode) on the IME Toolbar, then select either Full-width Katakana or Half-width Katakana. When you are done with your Katakana input, you can switch back to Hiragana input mode using the IME Toolbar. What Does Full-Width and Half-Width Mean? 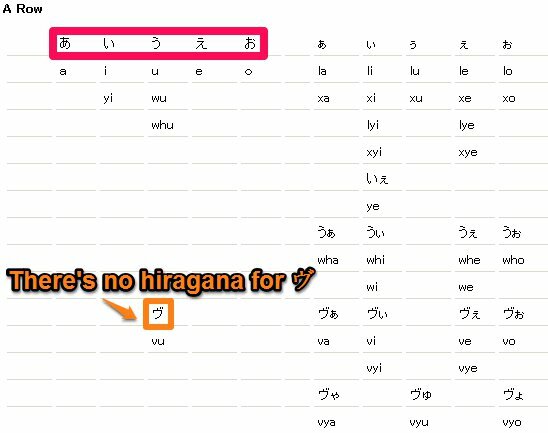 The method is the same as how you would enter hiragana characters in Hiragana input mode. When the candidate list appears in the Katakana input mode, you can still enter hiragana by clicking and selecting the hiragana candidate. Press the SPACE key twice after you enter a reading, and then selecting the katakana candidate from the candidate list. Or press the F7 key after entering a reading. To convert to half-width katakana characters, enter a reading and press the F8 key. Can You Enter Katakana Characters While in Alphanumeric Input Mode? Nope, you cannot convert to katakana when the input mode is set to Full-width or Half-width Alphanumeric. You can switch to the Alphanumeric input modes by clicking あ (Input Mode) on the IME toolbar, and selecting Full-width Alphanumeric or Half-width Alphanumeric. Good news! You can input alphanumeric text directly while in Japanese Romaji input mode i.e. you don’t have to switch back to English. To directly enter alphanumeric characters, select Half-width Alphanumeric from the あ(Input Mode) option on the IME toolbar. Then, type as you would on a Western keyboard. Enter the alphanumeric text, and then press the F9 key to convert to Full-width Alphanumeric characters or the F10 key to convert to Half-width Alphanumeric characters. This hack also works in Full-width Alphanumeric input mode. Just press the F10 key to convert your text to Half-width, and the F9 key if you want to revert back to Full-width. Pressing the F9 or F10 key repeatedly changes the reading to all upper case, all lower case, and sentence caps (first character capitalized, the rest in under case). For those of you who stuck till the end of this post, well done! I hope this tutorial helped you to master how to type Japanese letters using the various input modes. 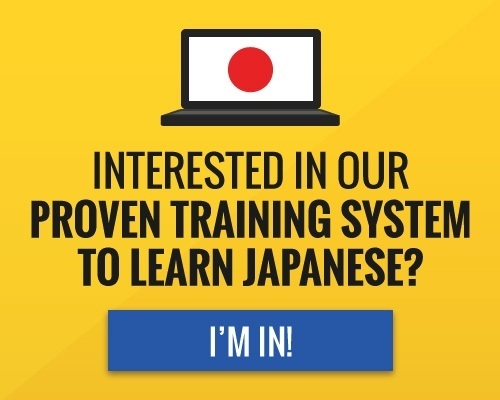 Now you can play our popular hiragana games and katakana games without any difficulties. 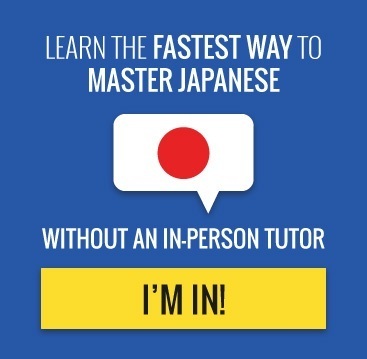 Good luck and ganbatte on your journey to learning Japanese! If you would like to learn how to convert Japanese letters, please go to the next article in this series called “The Dummies Guide to Converting Japanese Letters on Your Windows 7 or 8 PC“.